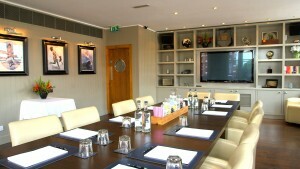 Looking for conference venues in Chelsea? Can’t get the right meeting space at your own office? Need to pitch an award-winning idea to some new investors? Desperately need some team time away from the office? Need a business meeting room to run a last minute workshop? Presenting quarterly results at a board meeting? Then Beaufort House is the venue for you, with the perfect meeting room available for hire by the hour or by the day, located on the fashionable Kings Road in the heart of Chelsea. Each of our 3 private rooms offers more than just a meeting space with four walls. Open 7 days a week, we provide flexible spaces for corporate events and Event Professionals can tailor any event from a small meeting for 10 to a conference for 100 guests in our Private Members Club. We offer free Wi-Fi, complimentary stationery, and we can arrange appropriate audio-visual equipment and plasma screens upon request. All our rooms are beautifully decorated with natural daylight and blackout blinds for screenings. Contact our Events Team on 020 7352 2828 or email events@beauforthousechelsea.com for more information.